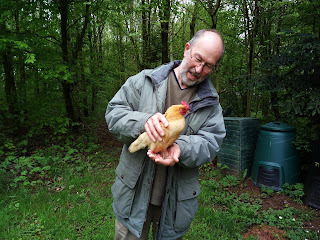 Moors Wood: Chicken keeping courses and sales. 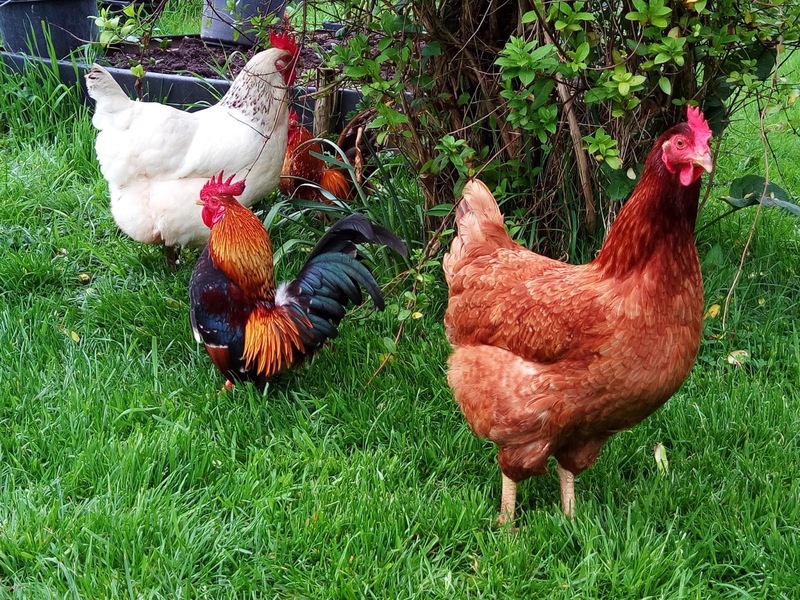 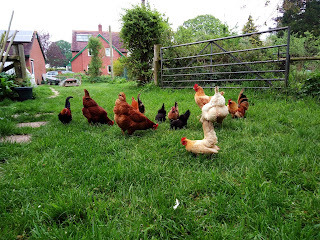 If you or your school/nursery is considering keeping some chickens (and many do!) 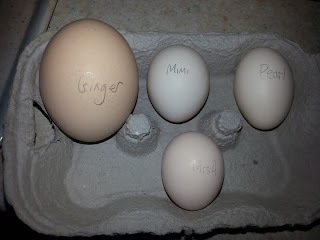 I am an experienced and enthusiastic chicken keeper and have been a Garden Organic Hens@home mentor and an Omlet Eglu chicken keeper course host. I will show you how to clean out an Eglu or other wooden hen house, hold a chicken, feed, water and care for it along with some basic feeding, health and welfare advice. 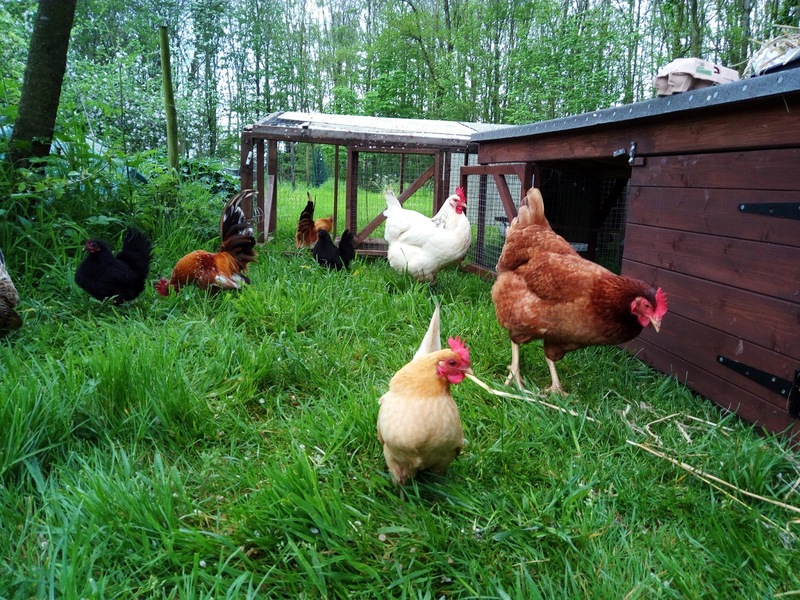 I can advise on different house and run set ups, also how to plan an area to keep your chickens safe and healthy. I run chicken keeping workshops and can bring along some miniature chickens (Seramas) to show you. 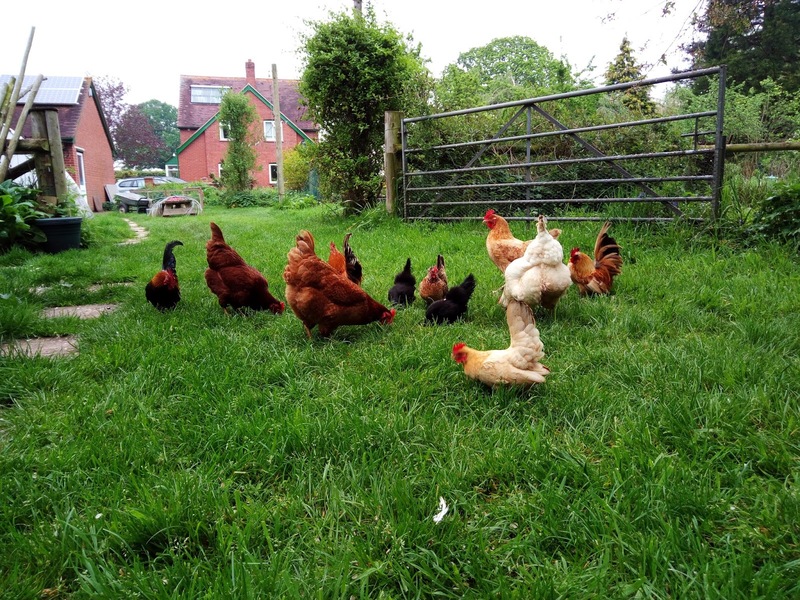 I also occasionally have chickens for sale - contact me for availability. 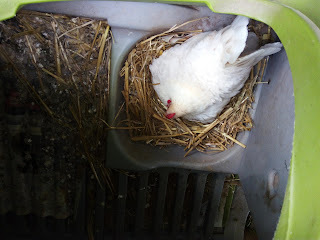 Pearl the Serama hen broody in the Eglu.